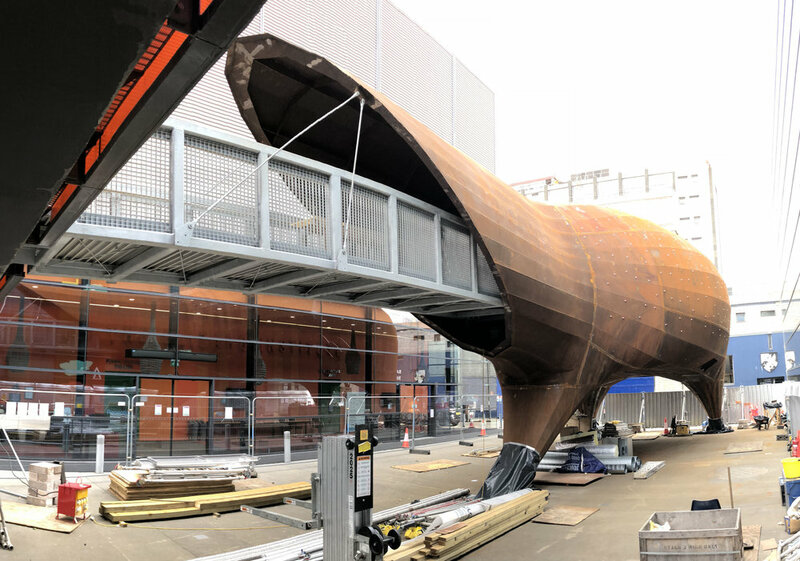 To-Do have been novated for the delivery stages of the late Prof. Will Alsop and his studio aLL Design’s new science education centre for Queen Mary University London. 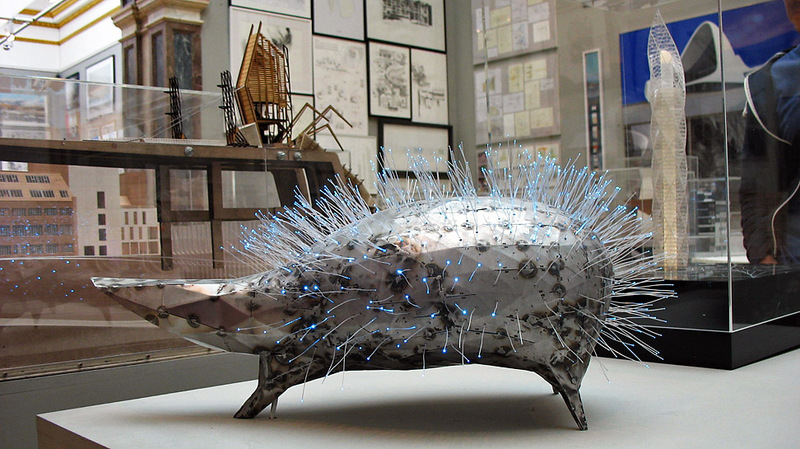 ‘Neuron Pod’ is an addition to the existing, award-winning ‘Centre of the Cell’, the first public engagement centre to be housed within a biomedical science research facility. ‘Neuron’ will double CoC’s capacity; help to inspire local school children into careers in the sciences, and engage the wider local community. Shell & bridge installation complete - with a temporary pair of socks! Detail view with plugs ready to receive fibre-optic 'hairs'.